description: A basic porcelain square double sided sign with an art deco flair on the top and bottom. Also has a bull nose on the front edge. Neon Hodge's Chile and Lunch Room in red neon. 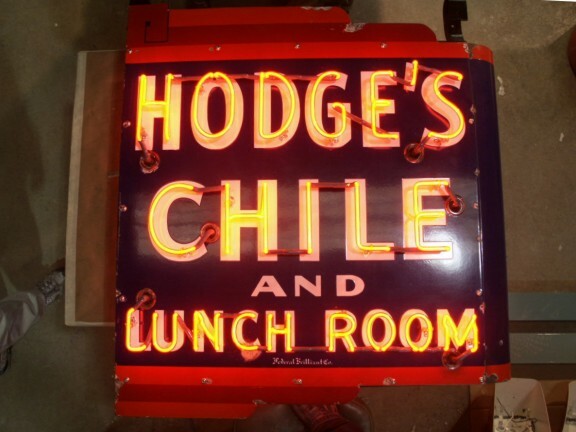 information: This sign from the first Hodges Chile store located at 814 Pine, in Downtown St. Louis, Missouri.